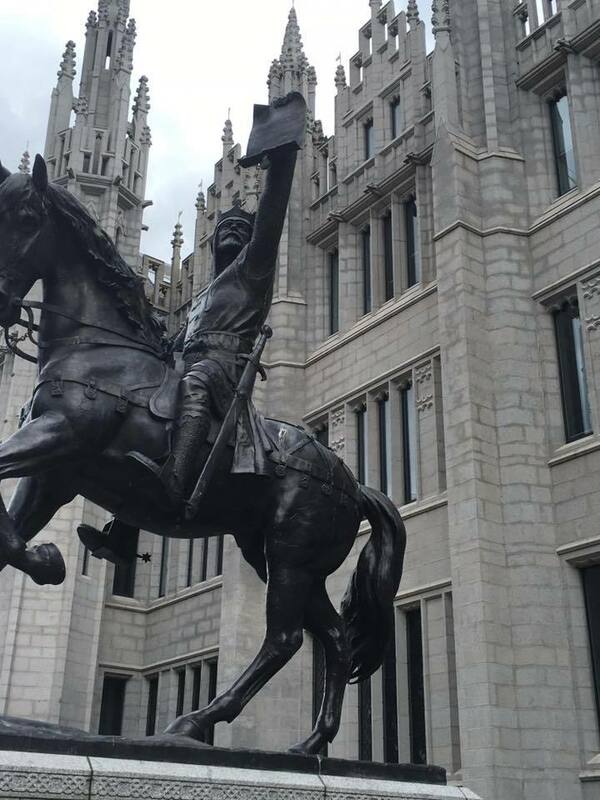 Many of you have likely been following the events being played out in Aberdeen related to the funding of the Aberdeen International Youth Festival and the Aberdeen City Council's decision in late December to pull their funding from the Festival. We have been closely monitoring these decisions and in early January had a lengthy conversation with the festival director who, at that time, received assurances that the Festival was still viable for 2018 and eligible for continued funding based on current applications in place, etc. Based on these assurances, and our utmost confidence in the Festival's infrastructure we felt confident our plans for 2018 should remain in place. Today, unfortunately, events have taken a different turn. After speaking just a few moments ago with Stewart Aitken, the Festival director (and our friend), we have learned that the organization's hands have been tied related to their governance structure and political decisions made by council members out of the Festival's control. The devastating result is the Festival does not have the freedom to pursue the funding promised to them nor do they have the promised governance structure needed to move forward as a charitable organization. For this reason, all plans for their 2018 Festival have been put on hold. Of course, this is heart-wrenching news for AIYF and we cannot tell you how incredibly disappointing it is for us to see this cultural gem succumb to an unfriendly, unpredictable political climate. This email today is NOT a tour cancellation notice. We are exploring (quickly) the very viable possibility of doing our own tour capitalizing on the depth of experience we have with Aberdeen and our many, many friends and colleagues there who would welcome us to come and sing throughout northeast Scotland. We will know if this is an option soon--hopefully within the next few weeks. We know many of you (including Mike!) have already purchased airline tickets for Scotland or have a confirmed (paid) deviation already in place. All: Please hold tight and do not make any more plans/purchases until we know what our next step will be. We have instructed Gateway, our travel vendor, to sit tight on all pending deviation requests until we can confirm our next step. It would be helpful to us (and to the Festival) to know what personal funds have already been committed to travel this summer. If you have purchased airfare, whether it included a deviation or not, please email us that information. After the lovely Burns Supper on Saturday, this is the worst type of email to have to write--"The best-laid schemes o' mice an' men..."
Please know we will be communicating to you as quickly as possible as we determine the best next steps for all involved. We know you will have questions--thank you, in advance, for your patience as we find the answers! Mike, Lynn, Randy, and Margaret.